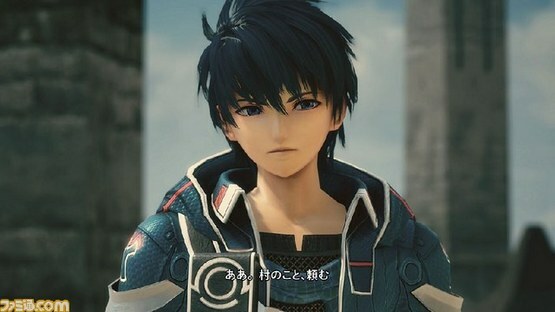 Square Enix and tri-Ace‘s upcoming PS3/PS4 RPG Star Ocean 5 got some screenshots to go with all the internet buzz it’s been stirring up. Famitsu claims that there are lots of different ways to fight, but doesn’t have many details on what that means. It introduces a blonde swordsman and a witch girl right under the bragging about battle variety, which is kind of funny when you think about it. “Play as the blue-haired swordsman or the blonde-haired swordsman! Did we mention there is a witch girl aaaand a healer girl?” These are the things that amuse me. If you’d like to see a nostalgic look back at earlier games in the series, Square Enix posted a video for that here.